Dates of extra Christmas markets have been announced – giving you more opportunity to shop with local farmers, small food producers and craftspeople during the festive season! 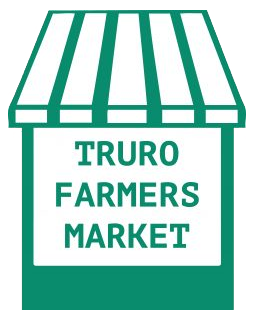 Extra dates in Truro include Wednesday evenings for late night shopping, Sundays, and a daily market in the week before Christmas; a large market will take place in Falmouth on 13th December. Our traders are hoping for a busy Christmas now that the Primark development is complete; construction work on Lemon Quay has restricted trading space in Truro over the last year. A visit to the market is the perfect way to stock up your fridge and cupboards as the Christmas holiday approaches; products include locally reared meats, fresh seafood, artisan cheeses, honey, preserves, cakes and chocolate, tea and coffee, wine and spirits. For the big meal itself, Vicarage Farm are taking orders for turkeys which can be collected at market, while duck and goose is available from The Cornish Duck Company. Presents for food and drink lovers are also in plentiful supply; award-winning bubbly from Bosue Vineyard, or Christmas Pudding Liqueur from Spirits of Cornwall both make extra special gifts. Arts and crafts include slate signs and coasters (including hearts and owls) from Kernow Signs with Christmas messages; these can also be personalised with a unique inscription. Exquisite Cottage Creations also a huge array of decorations and gifts, while beautiful natural wreaths can be purchased from Anne Pengelly at the Meadowside Nursery stall. Shoppers at market can also enjoy streetfood during their visit from Ruby June’s Indian Kitchen and Kernow Churros, as well as music and festive entertainment; everything you need to get into the Christmas Spirit.